The nosocomial infection definition states that it is any infection which arises after 48 hours of being admitted to the hospital. If the infection appears prior to 48 hours, it is assumed that it was before being admitted; however, it may not always be true. When patients are admitted for a very short period, they might experience nosocomial infections after they have left the hospital. Since they are very common, the statistics report a very high figure of 2 million cases annually in the United States alone, which comes to about 10% of hospital patients in America. Death due to these is estimated at 20,000 to 80,000 per year, and cost $4.5 billion in the year 1995. Nosocomial infection is caused due to bacteria, virus, fungus or parasites like any other type of infection. It is seen most commonly due to staphylococci, pseudomonas and E.coli. The fungal infections are caused mainly due to candida, which are responsible for 9% of nosocomial infections. Newer pathogens keep being detected as causative factor. The CDC has reported that 3.8 per 1000 patients are affected due to fungal nosocomial infections. The fungi most commonly involved are Candida Albicans, Aspergillus, Fusarium, Trichosporon and Malassezia. Patients who are immunocompromised are usually affected by Candidiasis, which is the most common type of nosocomial infection. Risk factors are chemotherapy, antibiotic treatment, neutropenia, hemodialysis, etc. The newer variety of pathogens has developed resistance to antibiotics and is hard to treat. They are of serious concerns and cause many of the nosocomial infections. Examples are Methicillin resistant staphylococcus aureus (MRSA), vancomycin-resistant S, aureus and vancomycin resistant enterococci. The most common type of nosocomial infection is urinary tract infection and it is usually caused due to E.coli, pseudomonas or enterococci. It is the second most common type of nosocomial infection in the United States and is serious as well. The risk factors are patients on mechanical ventilation, elderly, neonates, immunodeficiency, cardiopulmonary disease and those recently undergone thoraco-abdominal surgery. The pathogens causing this are bacterial pneumonia, pulmonary aspergillosis, mycobacterium tuberculosis etc. Patients admitted to the hospital are usually immune-compromised, which makes them more susceptible to infections. Poor sanitary or hygiene conditions at the hospital, improper procedures being followed by staff, interaction with other patients are all causes of developing nosocomial infection. Bacteria, virus, fungi can be encountered in hospital environment and spread easily through the body. With high number of sick patients and immune compromised patients, hospitals tend to have high rate of nosocomial infection. The infections can be air-borne (inhaled droplets) or contagious which are spread through physical contact with other patients or staff. Other causative factors are increased age, illness, medication or surgery. All patients admitted to a hospital are at risk of developing nosocomial infection. However, the chances increase when the patient is admitted in the ICU, almost up to 20.6%. On contracting a nosocomial infection, the patient ends up staying in the hospital 2.5 times longer than people who do not develop an infection. In such cases, the IV Line is removed when appropriate. The patient is started on antibiotics which treat gram positive and gram negative organisms. Anti-viral and anti-fungal therapies are administered as appropriate for the condition. Bloodstream infection can be prevented by using catheter disinfection caps. The initial treatment involves giving empirical doses of broad spectrum antibiotics which are later adjusted based on the pathogen determined. Special attention is given to multi drug resistant pathogens. Patients who are immune-deficient, or are symptomatic or have chronic lung disease are given anti-virals to protect them from influenza. The catheters should be removed, if possible, so that there is no recurrence of the infection. Removal alone can help in resolution of some types of infection. To avoid complications like renal damage, pyelonephritis and infections of the blood stream, empiric antibiotics and antifungal medications are given. Duration of treatment varies, however, 10-14 days treatment is recommended for children with sepsis and other complications. In such cases there should be care taken both surgically and with antibiotics. Once the pathogen is determined, the antibiotic can be changed. If the patient is suffering from streptococcal gangrene or tissue necrosis, aggressive intervention would be required. In case of gastroenteritis caused by rotavirus, supportive care should be given to ensure there is no dehydration. Asymptomatic carrier of C.difficile does not need treatment. For severe diarrhea, metronidazole can be given. Clinical improvement is seen in 2 days and duration of treatment should be usually 10 days. Nosocomial infections can be prevented in a number of ways, which include the very obvious ones and some very high-tech measures. Staff education: Since almost 40% of the nosocomial infections are caused due to poor hand hygiene, they should be educated more. 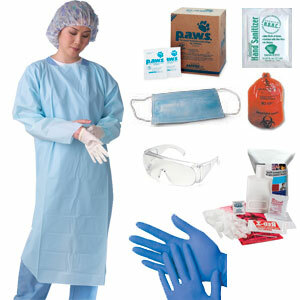 Regular hand washes, use of sanitizers, protective hand gloves and garments should be encouraged. Use of isolation rooms: When dealing with patients having infections with C.difficile, MRSA, VRE and other resistant gram negative organisms, patients should be kept in separate rooms. This will ensure spread of infections is avoided. Non-invasive procedures should be encouraged. Antibiotic treatment: When a patient is vulnerable, broad spectrum antibiotics should be administered to prevent any infections. Ensure you wash your hands or use a sanitizer when you use the restroom or come in contact with anything which could carry germs such as soiled sheets, bedpans or used tissues. Ensure that dressing of any wound remains dry and clean. If it becomes wet or gets loose, you should get it addressed and get the dressing done again. All the instructions given by the doctor should be followed, and rules should be followed. When in doubt, get confirmation from the doctor.